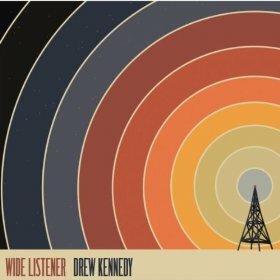 Drew Kennedy’s latest record, Wide Listener, will not officially be released for another couple weeks. Tonight, he gives you a chance to preview the tunes from his sixth album with a live tweet-along and listening party. Fans will be able to stream Wide Listener in its entirety tonight from 8 PM – 12 AM CST via drewkennedymusic.com! Hop on Twitter while you’re listening and use the hashtag #widelistener to interact with Drew and other fans as he takes questions about the new album.